Are you Jim and Pam, or are you Dwight? 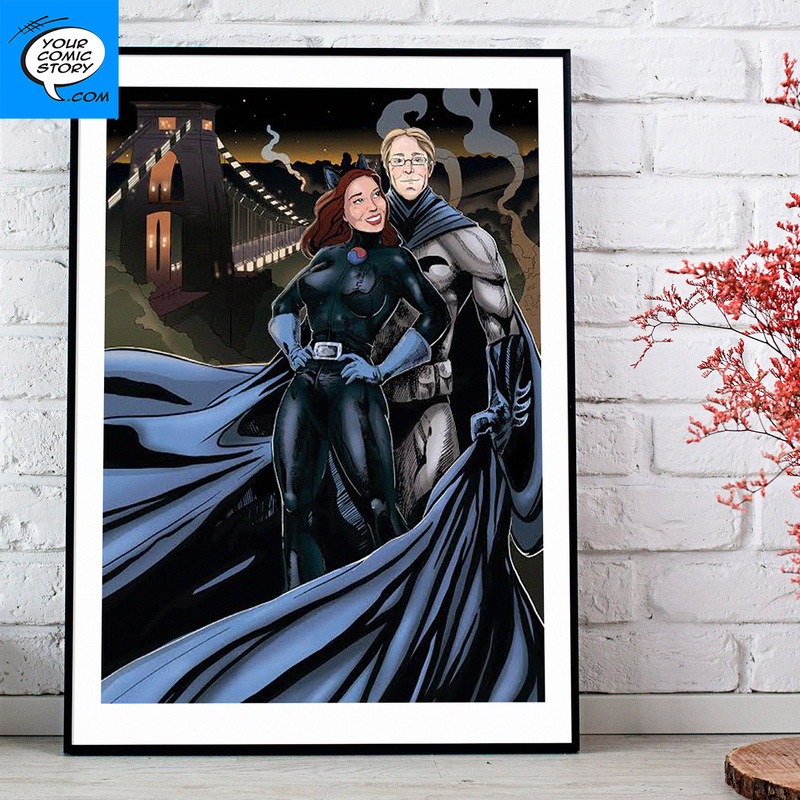 Comics - the romantic gift for the awesome people in your life. Quick, think of the best TV couple. I’ll wait….Was it Jim and Pam from the Office? I bet it was Jim and Pam. Why? Because they’re awesome. They have a great “will they/won’t they story”. Tons of road blocks and adversity. Fights. Heartfelt confessions. Tons of laughs and great pranks. And that’s all before they got together. What kept them together? What do you need to do to keep that Pam or Jim in your life? Perform some awesome romantic gestures. There have been some great examples in the long history of the office, but what was the greatest? The custom comic book. 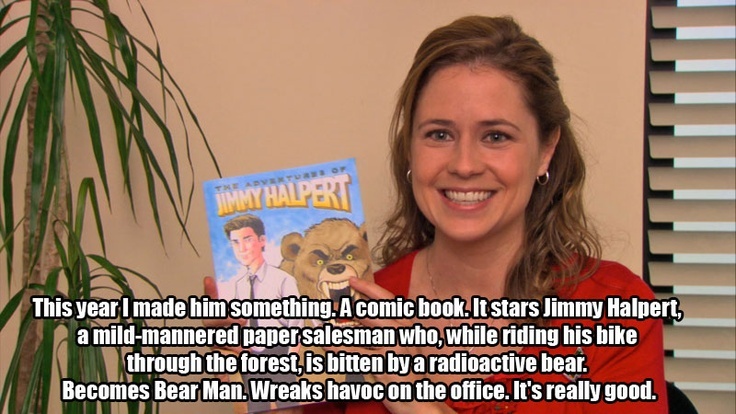 Pam spent a whole year creating a custom comic book for Jim, which she gave him during the Office’s Classy Christmas. And how did he respond? You may scoff at the notion of a comic book being a grand romantic gesture, so let’s break down the reason you are so horribly wrong. First, comics are, as Jim said, awesome. What were once relegated to the musty basements of many a nerd are now absolutely everywhere. Comic shops are returning. You can buy and read thousands of comics dating back to the sixties on your phone. Every other show on TV is based on a comic book. Some of the biggest movies of the last decade are based on comic books. Robert Redford was in a Captain America movie. Robert Redford is so much cooler than so many people. There is no stigma to reading and enjoying comics anymore. They are part of mainstream pop culture. Second, they’re art. And art is romantic. People sometimes forget or gloss over that astounding and mind-blowing art that can be found in comic books. 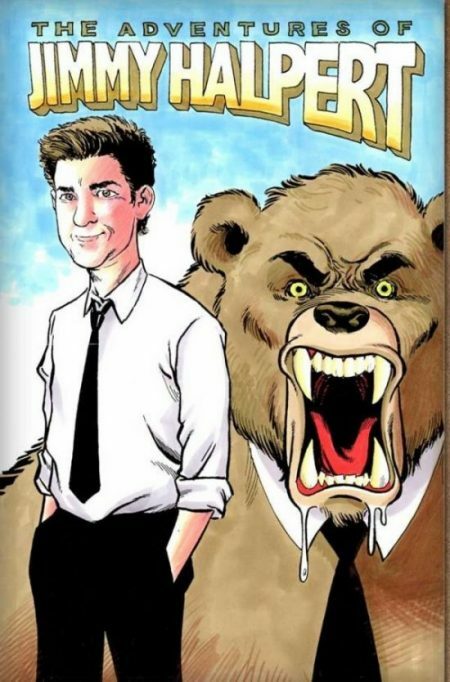 And this isn’t “good for a comic book” art. This is just good art. Look at the work of Fiona Staples or Bill Senkiewicz or Alex Ross or try to deny that they produce breathtaking, gorgeous artwork. Sure, you could buy your significant other an oil painting of some rolling hills and a sunset. Or you could give them 22 pages of Alex Ross paintings, which just so happen to feature Spider-Man swinging through New York. Third, a custom comic is an intimate, personal project that takes a lot of work to pull off. This isn’t a greeting card that you pluck out of a supermarket aisle. This a story crafted specifically for the recipient through days of work from several different skilled people. Writer, editor, penciler, colorist, letterer – all put their souls into their work to create something beautiful for you. Now, that’s romantic. And awesome. So, be a Pam or Jim, and give something worthy of your love ones. Don’t be a Dwight. No one likes beets. Beets are not awesome.